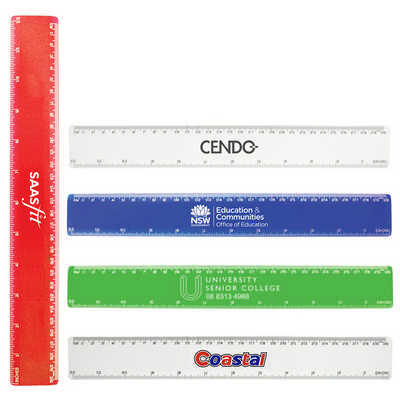 A 30cm plastic ruler with both imperial and metric measurements. Colours: Solid White,?Translucent Red, Blue or Green, Clear, Dimension: 310mm l x 40mm w. Price includes : 3 Day Service* Pad Print - One Colour/Location. Setup is included.